This past week, we’ve been doing some upkeep to the house on the outside in preparation for the rainy season. We got our house (shingles) stained, painted, gutters patched and cleaned. The work is almost done and it looks beautiful! Antonio, our contractor, did a great job! I can’t wait to see when it’s completely finished. I hope everyone had a lovely weekend! Chris and I were lazy pretty much all weekend long. I love those kinds of weekends! 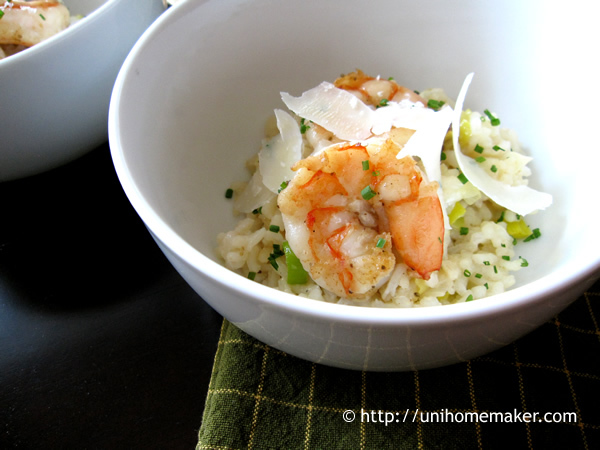 And since we were lazy, I made a simple risotto dish for dinner. 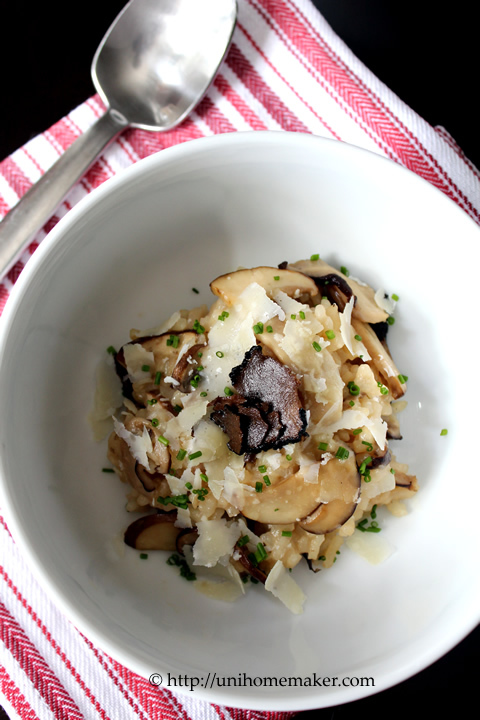 We are mushroom lovers so we really dig this wild mushroom risotto recipe. Now I know mushroom is an ingredient that most people either love or hate so if you are a lover like us, you’ll really love this dish. And this can easily be a vegetarian friendly dish —just swap out the chicken broth for veggie broth. Have a great week! 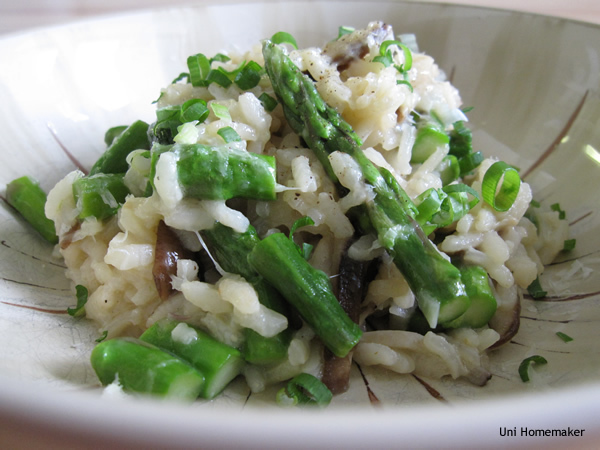 I didn’t start making risotto at home until a few years ago. I always thought it was a difficult dish to make. I saw an episode of 30 Minute Meals where Rachael Ray was demonstrating how to make it. 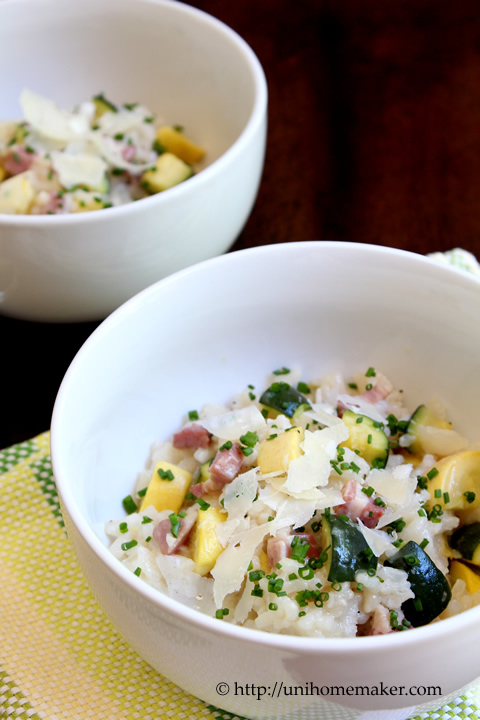 While it is an easy dish, it certainly didn’t take 30 minutes! For me, it took about 45-50 minutes.